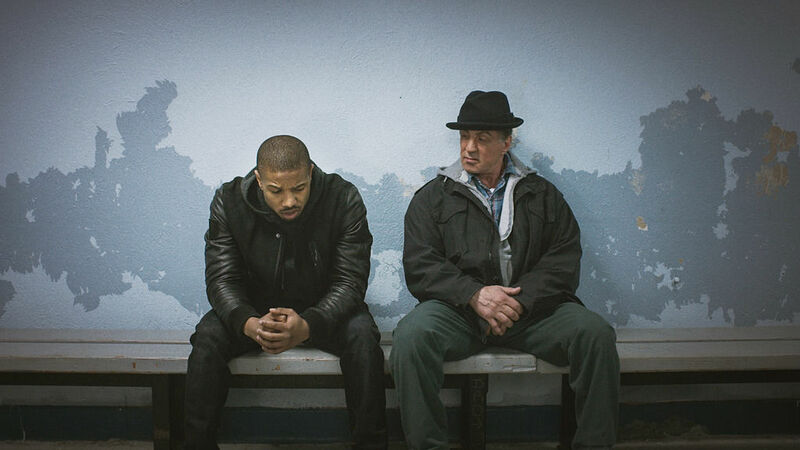 Given studio trends of producing remakes, prequels, and sequels for us moviegoers these days, you’d be forgiven if you rolled your eyes upon hearing about Creed, the seventh film in the much-adored Rocky series. On paper, it sounds like a desperate, unnecessary cash grab that tugs at nostalgic curiosity, as well as an indication of Warner Bros. running out of ideas for movies. Call it cynicism or wariness, but whatever it is, you could have counted me as part of that camp. Imagine my surprise, then, to find that the film is a well-directed flick, bursting with energy and heart. 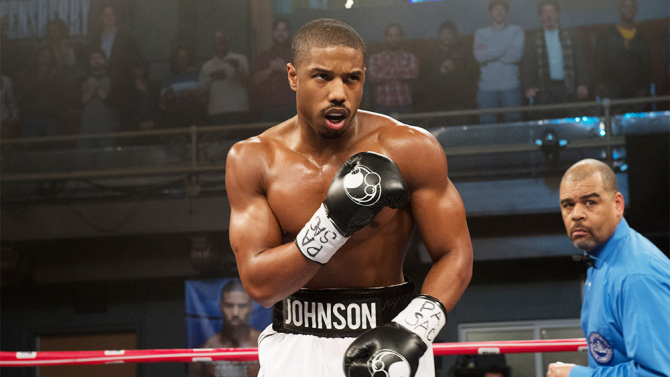 Adonis Johnson (Michael B. Jordan) – illegitimate son of former heavyweight boxing champion Apollo Creed – seems destined to spend his days in juvenile correctional facilities until Mary Anne Creed (Phylicia Rashad), Apollo’s widow, takes him under her wing. Seventeen years later, Adonis has a corporate desk job, but he occasionally competes in boxing matches on evenings in Tijuana, Mexico. 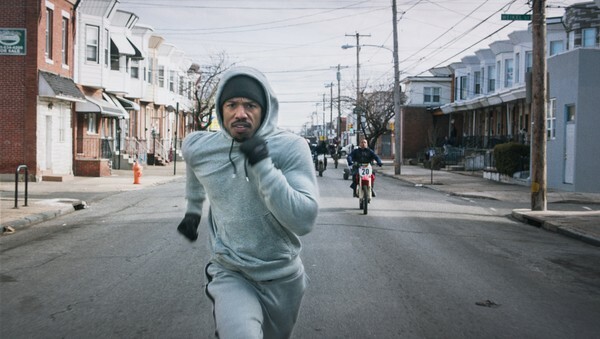 Fueled by his desire to become a professional boxer, he quits his job and moves to Philadelphia to start anew. 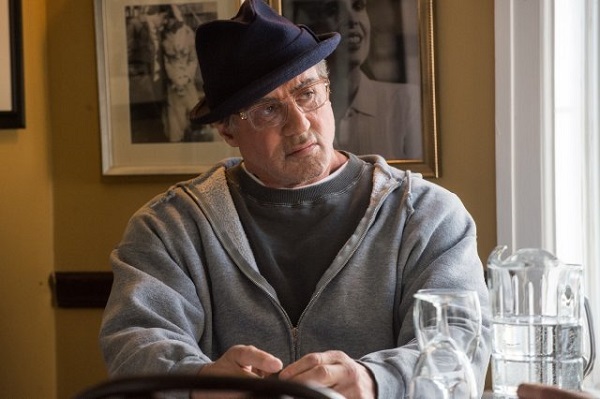 His first order of business is finding Rocky Balboa (Sylvester Stallone), Apollo’s rival-turned-friend who now operates an Italian restaurant, to convince him to become Adonis’ trainer. 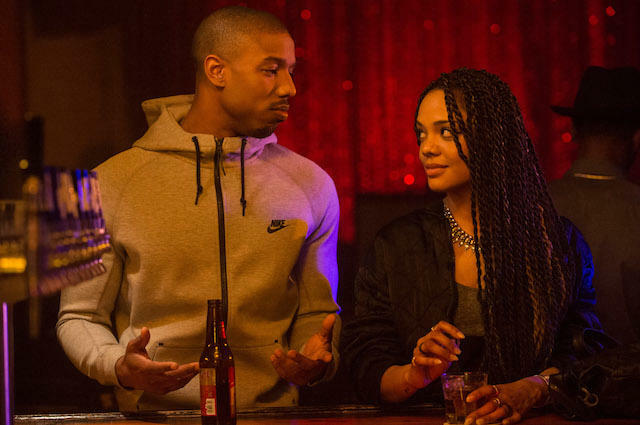 Rocky refuses, but undeterred, Adonis continues to seek the former champion’s help, while also pursuing a relationship with his neighbor Bianca (Tessa Thompson), a singer-songwriter. I have a confession to make: I’ve never seen any of the Rocky films from beginning to end. I’ve seen parts of Rocky III and Rocky IV on television, so I have a general idea of what the series is like, as well as its overarching storyline. It’s not that I don’t want to watch these movies (though Rocky’s hammy victory speech in Rocky IV nearly discouraged me from doing so), but I never felt compelled to make them a high priority on my queue. That said, I come from an interesting position where I have no emotional connection to the franchise, so I was able to head into this film with an open mind and zero expectations. Serving as the picture’s skeleton is a fairly straightforward story. 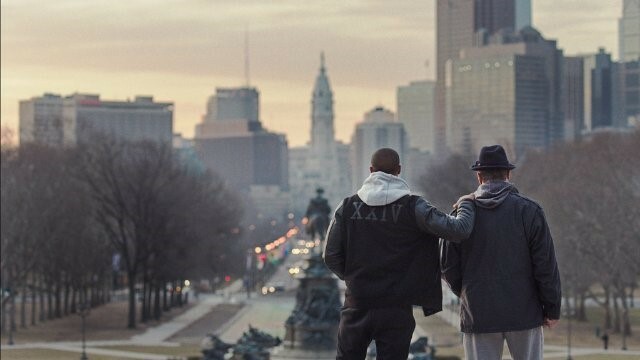 The more sports films I watch, the more I notice that they all share a similar story structure and arc, and Creed is no different in that regard. However, it’s a formula that has proven to work time and time again, and here, it works to good effect, as the film efficiently hitting its dramatic beats. It does move a bit too quickly in its first act in order to get Adonis to Philadelphia, where it then settles down and moves along comfortably. I’d argue that the one casualty from this storytelling decision is Mary Anne since her reason for “adopting” Adonis is never given. Doing so would have developed their relationship a bit further, as it does feel rather glanced over. Is the film formulaic? Sure, but what elevates the story is the sheer energy and heart it has. Those come from the characters, and their relationships in turn are what make an otherwise simple story so engaging and tangible, such that the fights themselves surprisingly don’t matter very much. Adonis’ hotheaded, intense personality against Rocky’s humble, laid-back mindset is in and of itself a bout, and the two play off each other wonderfully, leading to moments that are emotional, explosive, and humorous. This same chemistry is found in the budding relationship between Adonis and Bianca, both independent, strong-willed beings who bring the other into their fascinating and rich worlds. 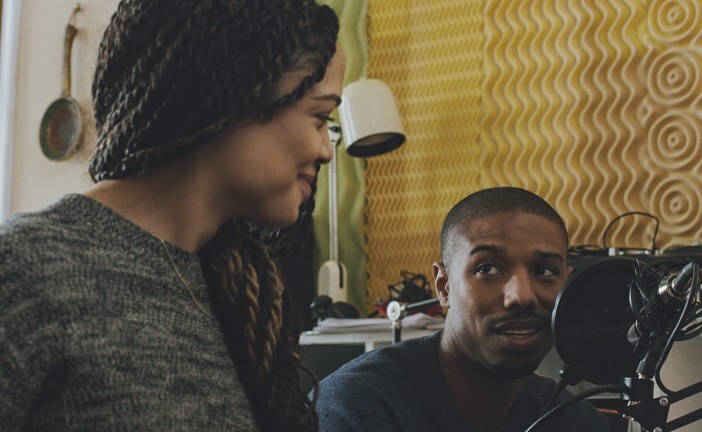 Also a character here is Philadelphia itself, and director Ryan Coogler – who helmed Fruitvale Station back in 2012 – intimately takes us throughout the city. There’s certainly a blue-collar spirit being evoked, and hanging over every Philly face and street is this sense of unity between all souls – hence the nickname, the City of Brotherly Love. Anchoring the film are a trio of excellent performances. Jordan brings forth a charming and commanding physical display, seen not only during his fights, but also in his body language, which expresses so much about his character’s emotions. While he never puts Rocky front and center since this is Adonis’ story through and through, Stallone is an absolute knockout. Here, subtlety is his best friend; his heartbreaking and heartfelt performance is all in the little details, like the way he talks or his reaction to another character. Coaxing the best out of her two co-stars, Thompson carries herself quite confidently and brims with charisma, especially whenever she shares a dramatic scene with Jordan. This is a technically tight picture, and the quality of filmmaking craft is evident in the ring. Cinematographer Maryse Alberti’s work is stunning, as she uses long takes to create breathless sequences and also manipulates light to capture the atmosphere of being at the matches, from the perspectives of both the fighters and the cheering crowd. 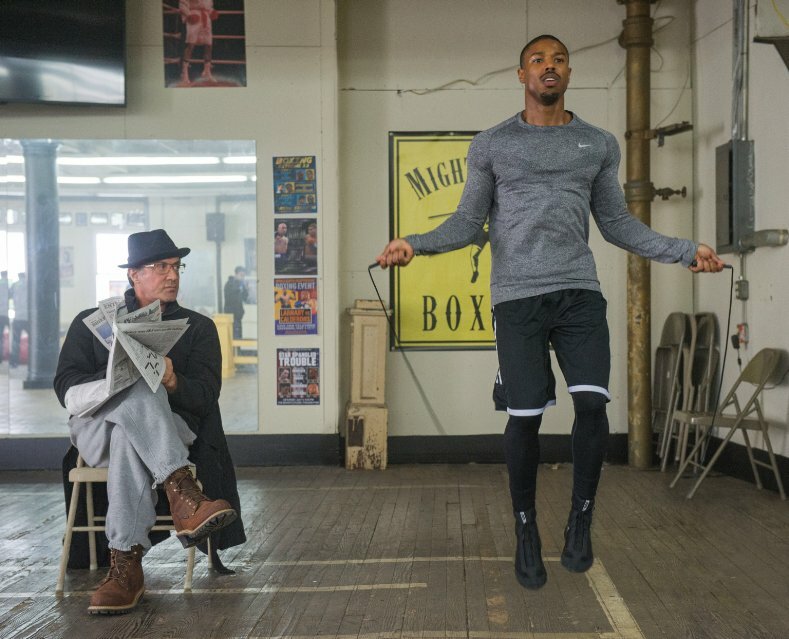 In choreographing the fights, Coogler seeks to emphasize their brutality and visceral nature. At his disposal is crisp sound, sharp editing, and slow-motion, and these techniques pick up every blood splatter, every punch thrown, and every blow landed. This entry was posted in Movies on December 11, 2015 by Jun I.